Is historic preservation close to your heart? Is your local chapter raising funds to restore or preserve a local building? 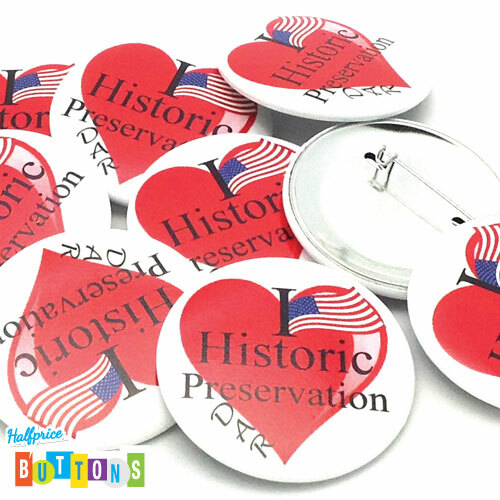 Raise funds by selling our low cost buttons for a substantial margin! 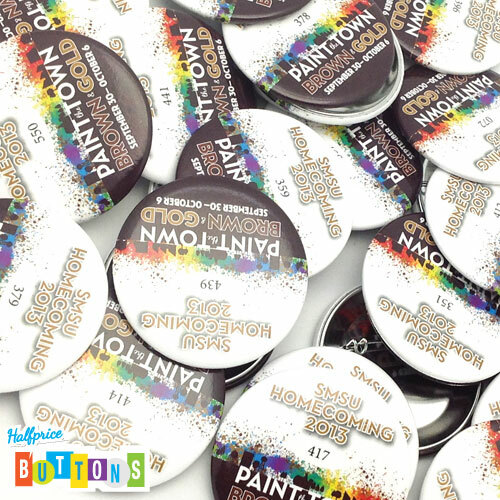 Let us help you raise these funds with custom button fundraising! If you are planning an alumni reunion, and raising funds for your booster club, choose our homecoming buttons with consecutive numbers. Consecutive numbering allows for your organization to show its pride, while raising much needed funds for your athletic teams. We can add consecutive numbering to your design, please contact us for pricing and lead time.